This week on Fossil Friday, I bring you a true fossil mystery from Fossil Friday Fan Dan Coleman! 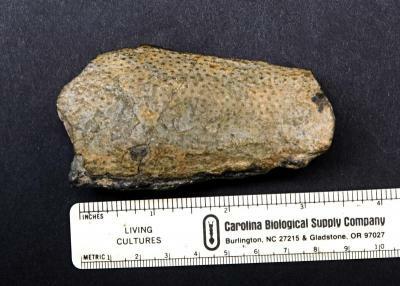 Dan tells me that he found this specimen on the Taylor Ridge I-75 road cut in Ringold, Georgia, and it dates from the late Ordovician to early Silurian. He couldn't figure out what it was at first, and his paleontologist pals were stumped as well. 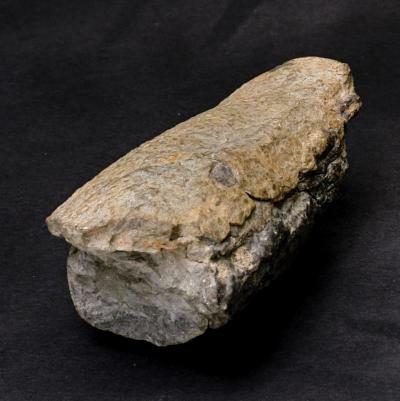 We have a pretty good guess what this is, but we're throwing it out to our Fossil Friday friends. Can you help us identify this fossil? We'll share our best guess on Monday, but in the meantime, tell us what you think!